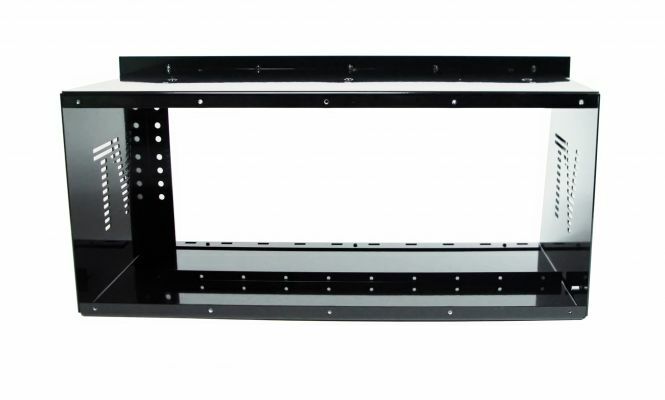 An empty VT19-5U Rack without backplate, connectors, tuchelbridges, wiring. etc. The VT19-5U rack for Danner cassette modules is available as an improved version from october 2017 on. 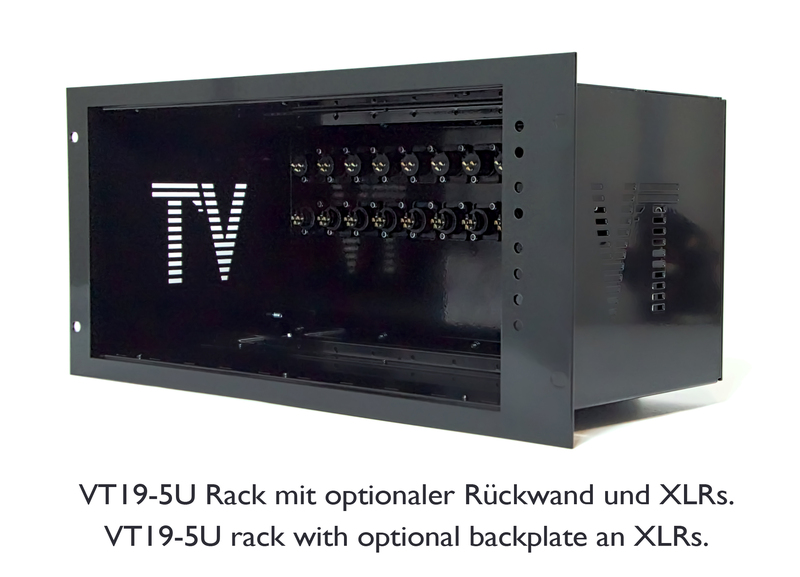 The rack chassis can hold up to ten A1 modules, 20 B1 modules or any combination of them. 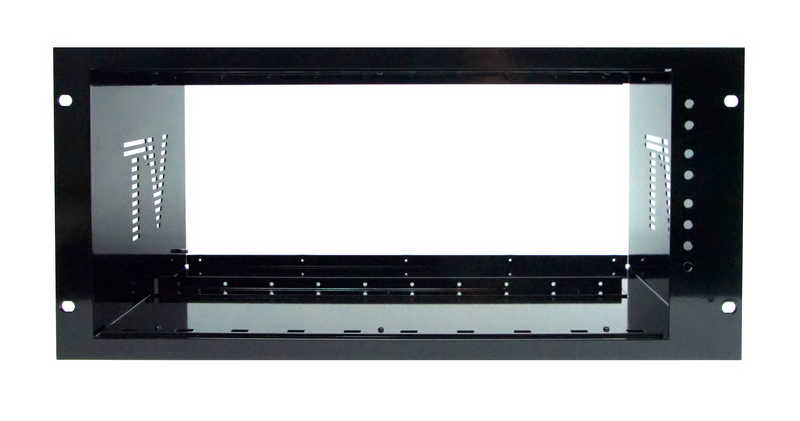 Each of the ten full size (A1) slots can hold two B1 cassettes when you add the "Tuchelbridge with adapter" (VTO43). There are many different types of danner cassettes available and even though they look the same, they might need different types of connectors with different pinouts and positions. 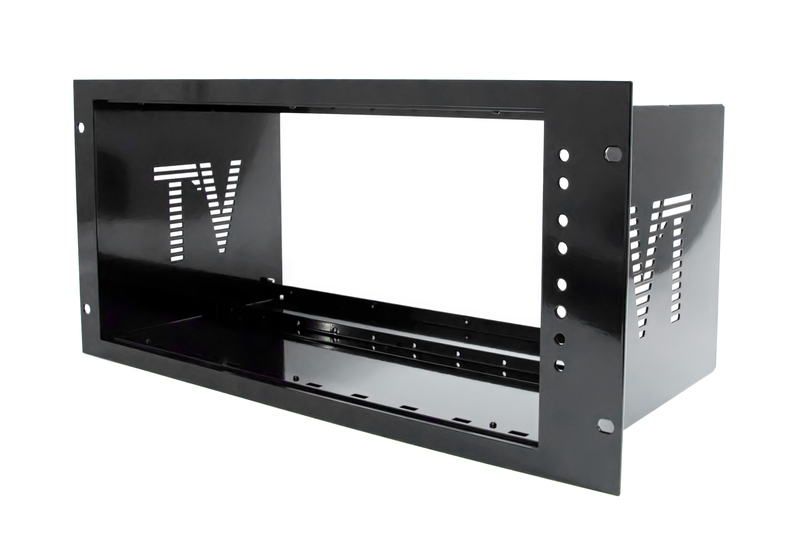 For this reason, we made the order process for the new VT19-5U as flexible as possible. 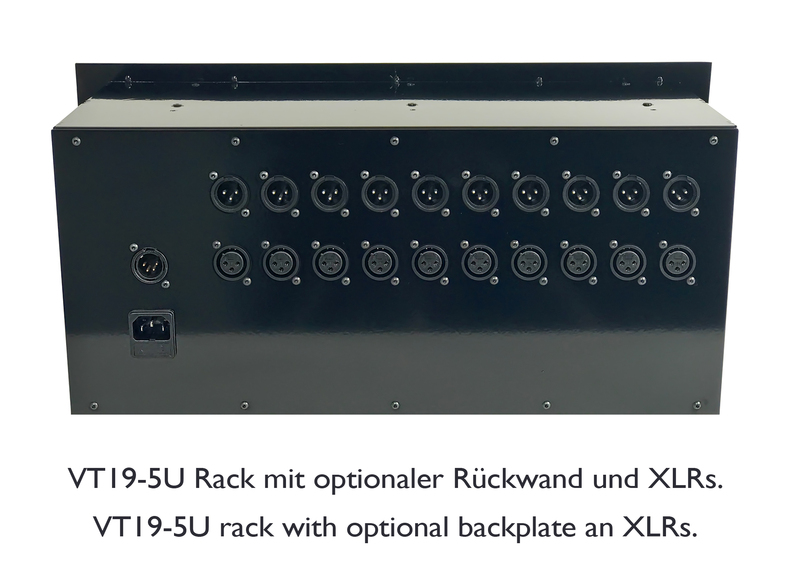 The main rack and the two different backplates are separate products. All tuchelframes, connectors and accessoires are ordered seperatly too. Besides that, we offer a racking service for our customers. We can build your rack in any custom configuration. If you are interested in our racking services please contact us via mail or telephone.